THE CABINET WILL today agree on the wording of what the Irish electorate will be asked to vote on in the upcoming divorce referendum. Under the current system, married couples need to have lived apart for at least four years during the previous five years. The new proposals would see that reduced to two years, with the Oireachtas providing the legislation for this. 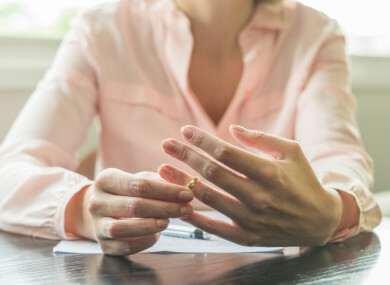 What do you think: Should the four-year minimum time period for divorce be reduced? Email “Poll: Should the four-year time period for divorce be reduced? ”. Feedback on “Poll: Should the four-year time period for divorce be reduced? ”.